Zentangle Newsletter -- 2019 Seminar Dates and more! 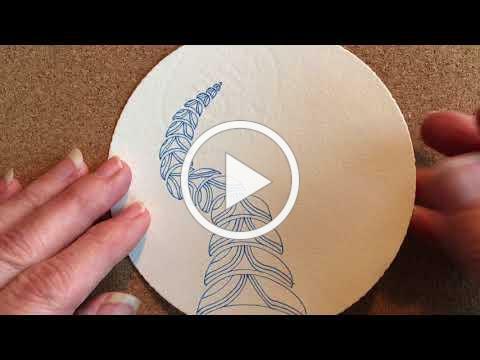 We also share a link to one of our ongoing series Kitchen Table Tangles that we regularly feature on the Zentangle Mosaic app. 2018 has been a busy year at Zentangle HQ! We are all hands on deck as we busily prepare for our upcoming programs, CZT #32 and zenAgain 2018 CZT reunion in Providence, RI in the coming weeks. Even so, we just wanted to take a pause and let you know we have formally secured the dates for our 2019 CZT training seminars. Please save the date for the US Certified Zentangle Teacher training Seminars. We realize 2019 seems so far away but we hope this will help as you plan your school/work/family schedules. The opening of registration and tuition costs will be announced here in early December via newsletter and through our various social media outlets and on our app Zentangle Mosaic. The 2019 US CZT seminars will take place at the Providence Biltmore Hotel in Providence, Rhode Island, USA. Please note that each option has limited availability, so when registration opens, we encourage you to register as soon as possible. All meals and snacks starting with dinner on Sunday and ending with celebratory snacks on Wednesday afternoon. In other words, everything you need is included, except parking. To learn more about what CZT seminars are like, please visit here . *Any lodging options will be booked through our room block and so contacting the hotel will not serve as registering for this event. We are forever grateful to be able to continue to offer these enriching programs to Zentangle enthusiasts around the world. We will look forward to meeting you when the time is right. Our Kitchen Table Tangle series (KTT) is a regular feature available to subscribers of our Zentangle Mosaic app. Occasionally we make one public for everyone to enjoy. We think you will enjoy this one - Articulated Molygon! Remember, if you have not yet downloaded the Zentangle Mosaic app, you can see all the art that's uploaded from all over the world for free. For those who plan to attend seminar, we all look forward to the possibility of meeting you and working with you. This is an amazing adventure. Thank you for being part of it!